Culture as Weapon. The Art of Influence in Everyday Life, by Nato Thompson. Publisher Melville House writes: The production of culture was once the domain of artists, but beginning in the early 1900s, the emerging fields of public relations, advertising, and marketing transformed the way the powerful communicate with the rest of us. A century later, the tools are more sophisticated than ever, the onslaught more relentless. In Culture as Weapon, acclaimed curator and critic Nato Thompson reveals how institutions use art and culture to ensure profits and constrain dissent — and shows us that there are alternatives. An eye-opening account of the way advertising, media, and politics work today, Culture as Weapon offers a radically new way of looking at our world. From the Guggenheim Bilbao becoming the ultimate icon of urban revitalization to the Nazi Party stadium rallies throwing people into massive nationalist hysteria with their powerful speeches, Wagnerian music and what architect Albert Speer called cathedrals of light. 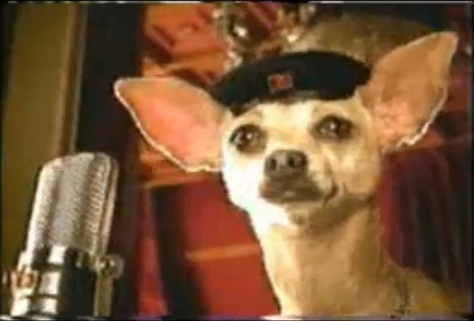 From the Taco Bell Chihuahua dressed to evoke Che Guevara to the independent slogan “Keep Austin Weird” hijacked and copyrighted to serve a branding campaign for the capital of Texas. From corporate-driven bohemia in Berlin and Portland’s hippest neighbourhoods to rock stars wearing Reebok trainers while performing on behalf of Amnesty International. From Apple Store abolishing cash registers (that crude reminder of commerce!) and filling its aseptic spaces with with smiling people dispensing free advice to the McDonald’s Corporation supporting programs that improve the well-being of children while getting people addicted on its cheap, GMO-laden junks food served by under paid employees, etc. Culture, it seems, is intimately weaved into capitalism and politics. And vice versa. Using historical and contemporary examples gleaned from political campaigns, PR stunts, philanthropy, advertising or interior design, Nato Thompson efficiently demonstrates how culture can be turned into a set of tools and tactics that allows those in power to quietly manipulate the impressionable, irrational and social creature that we are. Thompson wrote this book as a b-side of the exhibition Living as Form, as a kind of guide to how socially engaged artistic practices can be appropriated by PR companies, advertisers, politicians, corporations and other entities with only their own best interests in mind. They too understand the power of the visual, the importance of arousing emotions, of creating social connections, of devising more radical modes of communication, production and distribution. Some of the tricks deployed by businesses or politicians used to be revolutionary but seem almost banal nowadays. Paying women to smoke in public as an act of freedom in defiance of the taboo of women smoking, for example. Others appear as dirty as ever decades later, such as the infamous Horton ad which suggested that presidential candidate Michael Dukakis bore some responsibility in crimes committed by a murderer temporarily released from prison. Thompson’s book is informative and entertaining. It is also troubling, thought-provoking and impossible to read without thinking about Trump (or Brexit, or anyone in Europe thinking time has come to make their country ‘great again’.) Especially when it shows how fear has become one of the main drivers of America mainstream culture. Fear permeates the news, is intensified through sensationalist discourses and images but most of all, it feeds millions of men to the notoriously voracious industrial prison complex, keeps Guantanamo Bay in perpetual and unjustified limbo and can turn anyone into a potential, innocent victim: Steve Kurtz, black teenagers, people who have names that don’t sound ‘right’, etc. Somehow, there is also hope in this book. Humans might be irrational and fairly easy to maneuver but they are also capable of seeing through the smoke screen. They fight back. They use capitalism to overtake capitalism. They hijack media and write their own history of alternative media. They orchestrate civil disobedience with humour and brio. They can even re-purpose fear. To paraphrase Thompson they learn from power even if they do not agree with it. I sometimes had the feeling that the author is more comfortable writing about some topics than others. He is moving when writing about Reverend Billy and more factual when detailing the military’s cultural approaches to counterinsurgency, for example. But that’s just a detail – that and the fact that there is absolutely zero photo in the book- because Culture as Weapon splendidly condenses into some 300-ish pages the many reasons why culture is exciting, liberating, deceiving and dangerous. Depending on who gets to pull its strings. Posted in advertising, book reviews, entertainment, politics, trends. Bookmark the permalink.